James Long (right) and Marcus Youssef (right) debate topics from football to fatherhood in Woolly Mammoth’s “Winners and Losers,” now through November 22nd. As Washingtonians gear up for what is sure to be an epically entertaining election season, there’s no doubt that regardless of what you believe and the way you vote, everyone lovesÂ a good debate. 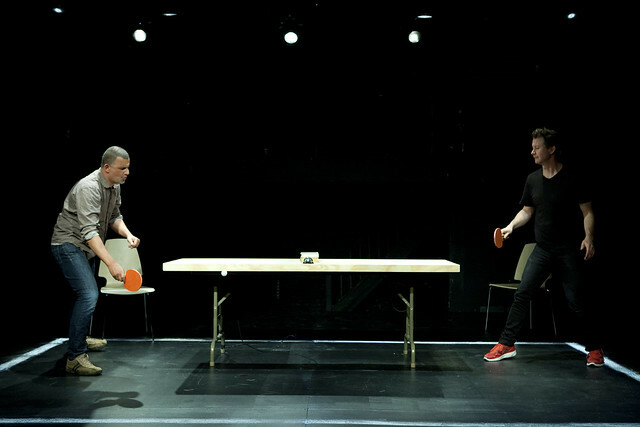 To that end, Woolly Mammoth Theatre Company delivers a bout that would even impress the DonaldÂ with Winners and Losers – a no-frills, friend versus friend verbal combat that starts off silly and quickly escalates to serious. Canadian theatre artists James Long and Marcus Youssef star as themselves (more or less) inÂ the improv-based show, which sees them tackle subject matter from the Redskins and microwave ovens to the 1% and their relationships withÂ their fathers. The exchanges between Long and Youssef are asÂ intense as they areÂ funny, and leave the audience wondering how weÂ actually define what it means to win or lose – not to mention how the two can remain friends after the curtains close. Although there isÂ a rough outline for the way the show is run, there is little scripting to pull from and topics can and do change based on where they are performing, and who they are performing for. Expect them to ask the audience for debate materialÂ (just a head’s up: Trump gets thrown out there every night, so you may want to consider some other options) – interaction with the actors is a key element inÂ Winners and Losers that keeps us in the moment as though we’ll be called on at any minute to present our thoughts on the topic at hand. It’s all fun and games at the start, but as the show progresses and Long and Youssef begin to scratch below the surface, the jabs move from puns to personal as they delve into class divisions, the privilege of wealth, and their abilities as parents. In their time on stage at Woolly, they make themselves vulnerable to each other and to their audience, baring an honesty and rawness that makes the latest political debatesÂ seem more like a circus parade than an actual discussion about opposing arguments. Not that we can take our eyes off the parade. 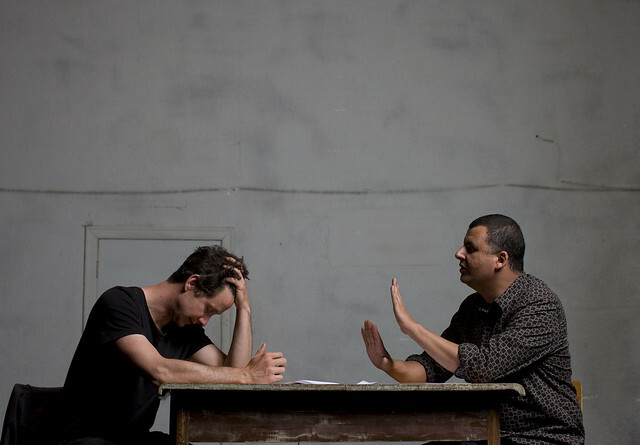 In a post-show conversation with Long and Youssef, audience members questioned the duo about how much of the dialogue was real, and how much was made up – as things getÂ heated between them, it’s often hard to tell where the line is between acting and real life. They’ve been collaborating onÂ productions of the play since its debut in 2012 (you can read more about how the idea for the show was born here), and the chemistry and camaraderie between them can at times give you that awkward feeling when you witness a fight between two friends (you know the one, when things are getting really uncomfortable butÂ you don’t know how to exit the room without making a scene and you kind of want to stick around to see what happens, anyway). Despite the off-the-cuff nature of the show, it does adhere to a particular arc driven by Long and Youssef’s exchanges, which they did claim are mostly rooted in truth (if notÂ somewhat exaggerated – you know, for dramatic effect).Â It’s an effect that certainly works for them, and as usual, Woolly treats their audiences to a performance with a punch – this one both literally and figuratively. Tickets forÂ Winners and Losers start at $35 and are available here,Â by phone at (202) 393-3939, via email at tickets@woollymammoth.net, or in person at the Box Office. The show runs at Woolly Mammoth Theatre Company (641 D St., NW) through November 22nd. Section B tickets are available for $20 to any performance for patrons who are 30Â and underÂ -Â there are also discounts available for first responder men and women and active US military personnel, spouses, and veterans. More information is available at woollymammoth.net.